Welcome to Miami Beach Jet Charter, your local source for private jet charters in Miami and flights to surrounding areas of South Florida. Enjoy unlimited free quotes and competitive rates, instant access to business jets and turboprops in South Florida and your area, and the highest levels of safety and services in private aviation. Private charter flights are the most flexible, comfortable and stylish way to arrive in Miami. Private jets, unlike commercial air travel, allow you to fly on the date and time of your choice, using airports that best suit your needs, including airports dedicated to serving business jets and luxury travelers. 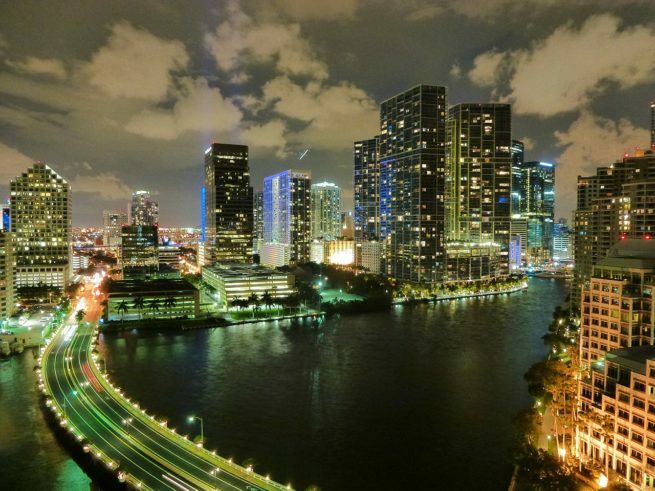 Choose between three main airports for private charter flights to Miami, including Miami International (MIA), Opa Locka Executive (OPF), and Miami Executive (TMB). Private flights can also be arranged throughout Broward County and the Florida Keys, and our Wyvern-certified brokers are based in South Florida and available via phone and email 24 hours a day, 7 days a week. Give us a call at 1-888-987-JETS (5387) or contact us for a free charter quote with zero commitment required. 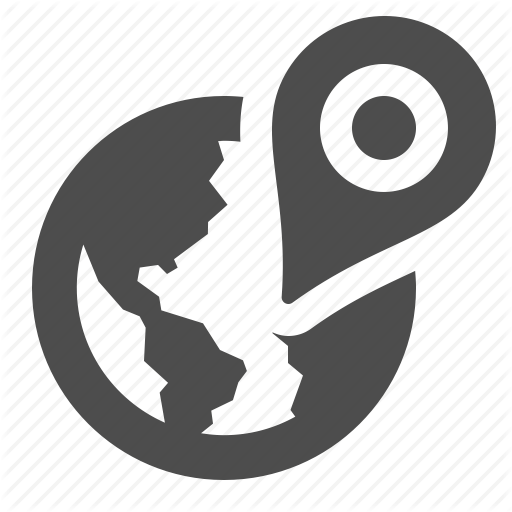 Our services cover the globe, offering non-stop service on both domestic and international flight to/from Miami. Miami Beach Jet Charter is your local source for private jet charters, aircraft management, and private plane sales/acquisitions in Miami and surrounding areas of South Florida. Our office is located less than an hour away from some of Florida’s busiest airports for business and general aviation, and we’ve built relationships with local operators to pass fantastic deals on to our clients without ever sacrificing safety, quality or comfort. You’ll enjoy instant access to thousands of private planes for your flight, including turboprops for Caribbean charter flights, light and mid-size aircraft for flights within the United States, and long-range jets for transatlantic and intercontinental flights. You can also hire a regional or VIP airliner for large group charters, with seating for 30 to 150 passengers, and we can locate empty leg private jets to offer incredible savings on one-way flights. In addition to on-demand air charters, our private aviation services include medical charter flights, VIP/celebrity jet service, air cargo, jet card memberships, sales & acquisitions, aircraft management, and more. We also arrange a variety of luxury concierge services to pair with your private jet charter Miami, including luxury yacht rentals, helicopter lifts, ground transportation and more. Miami is a premier destination, with year-round visits from both leisure and business travelers across the country and around the world. South Florida is also one of the busiest regions in the United States for general and business aviation. Check out the local pages below for more information about arranging your Miami air charter to the following areas. 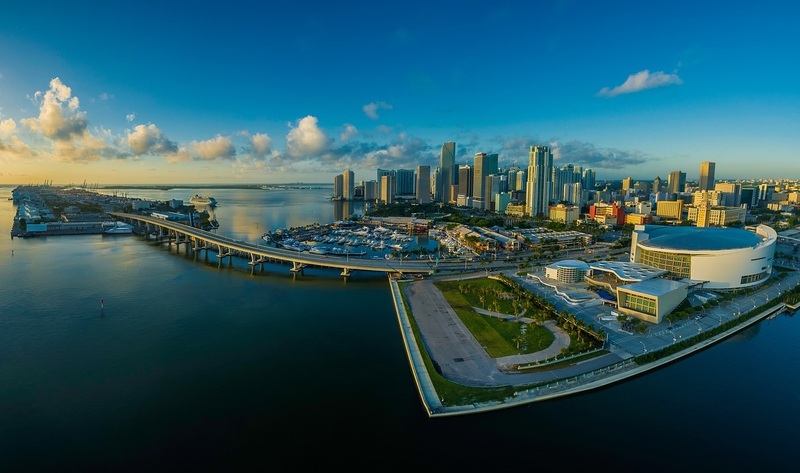 The Miami-Dade Metropolitan area stretches 110 miles along the Atlantic coast, but thanks to being sandwiched between the Atlantic Ocean and the Everglades, it’s never more than 20 miles in-land. Because the city’s sprawl essentially covers most of Southeast Florida, the population of around 5.5 million people is quite spread out. This also means our Miami jet charter services create plenty of opportunities to arrive at airports closer to your home, office, or destination. Arrange your South Florida-bound private flight with our company, and gain access to thousands of private jets, turboprops, helicopters and VIP airliners for your flight. We’ll connect you to the perfect plane for your flight, including empty legs and one-way deals for part-time and seasonal residents of South Florida. Our brokers review third-party safety audits to ensure every plane, pilot, and operator meets our strict safety standards, and our due diligence processes exceed those set by the FAA and other aviation organizations, falling in line with processes used by many Fortune 500 flight departments. All of the planes we use for Miami private jet charter are operated by FAR Part 135 or 121 (or foreign equivalent) air carriers, come with substantial insurance policies, and are flown by two veteran pilots, and never inexperienced pilots, or captains with limited experience in the make/model you’re renting. We can provide access to Wyvern Wingman and ARGUS Platinum aircraft when needed. Submit your request and our brokers will provide a variety of aircraft options to fit within your budget, whether you prefer to rent a cost-effective turboprop, the most luxurious, stylish luxury airliner in South Florida, or somewhere in the middle. Discuss all the potential aircraft options with your broker. 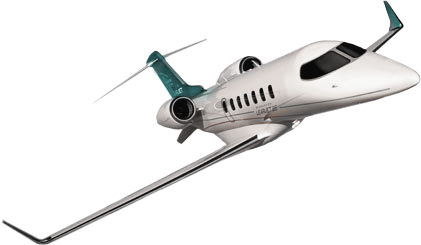 Submit your request for a free, no obligation charter quote, or speak to us directly at 1-888-987-5387 (JETS). All of our Miami private jet charter company is based in South Florida and available to assist you with every aspect of private aviation, from reviewing private plane and airport options for your flight, to arranging luxury concierge services such as in-flight catering, luxury ground transportation, yacht charters, helicopter rentals and more. Our goal is to provide corporate flyers, executive assistants, and luxury travelers with the most transparent, one-on-one consultative air charter service experience in South Florida. Your time, privacy, flight preferences, and most importantly safety are important to our team, and it’s our attention to detail & safety that sets us apart from other companies.